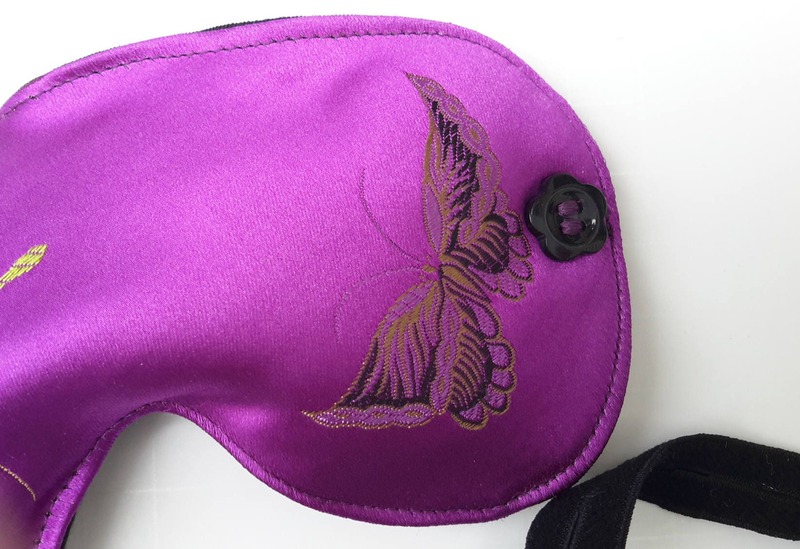 Totally feminine and gorgeous for your beauty sleep! 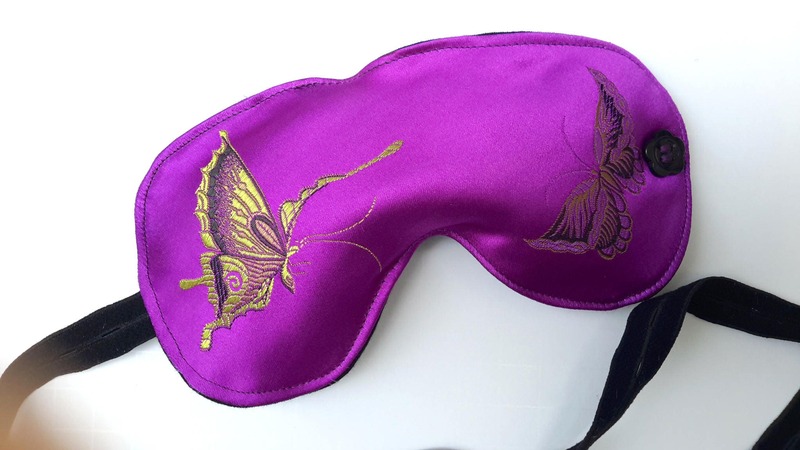 Outer fabric is a shimmering purple butterfly brocade with the opposite side a black smooth satin. Sandwiched between the two is a cotton batting and little stuffing - like a pillow for your face! 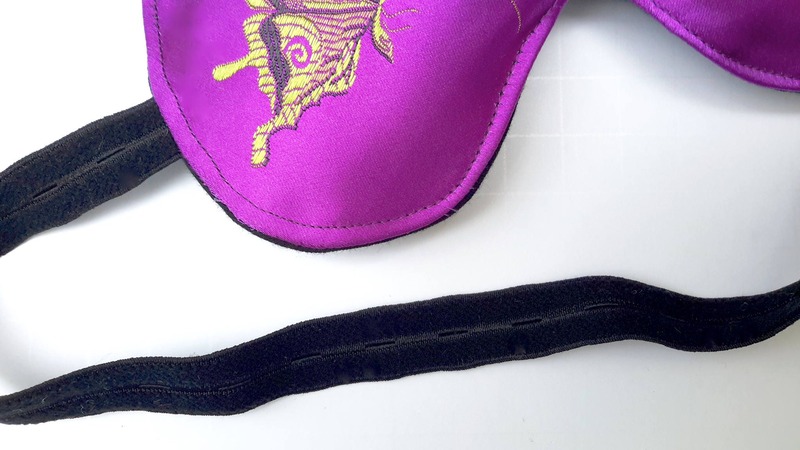 Sleep mask is adjustable using a non-snagging buttonhole elastic so you can adjust the tension on your face. Elastic attaches to a button. 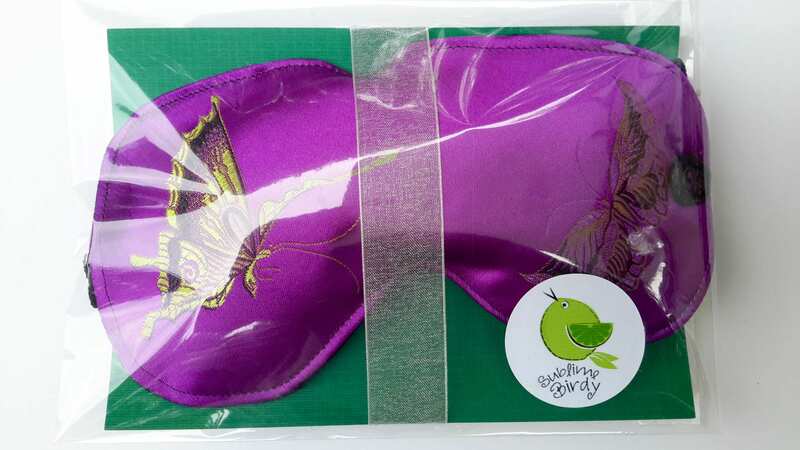 A sleep mask will help to block out the light to get you to sleep and keep you to sleep especially if you have a busy partner who likes to read or watch tv. 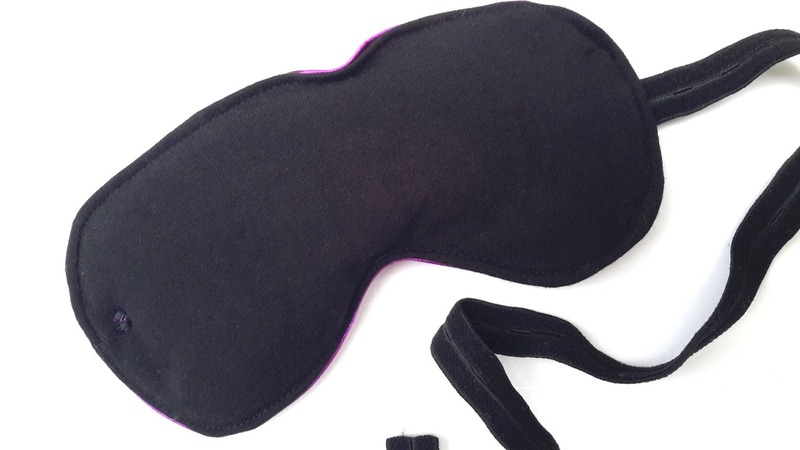 Bring it with you on your next flight to combat jet lag or simply throw it in your bag on your way to the yoga studio for those meditative moments! Mask measures 7 inches wide by 4 inches high. Materials have been pre-washed, to freshen just toss into a wash bag and launder on cool temps, gentle cycle, hang to dry or tumble dry low, press with iron to release any wrinkles. It's comfortable, and it works well. It arrived in a reasonable amount of time.